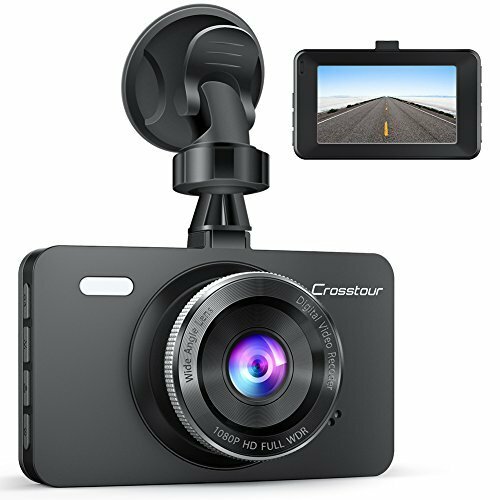 Crosstour CR300 features all the functions you can imagine for a dash cam. Super Big Aperture More light can come in during video recording or pictures taking, thus bringing much better night footage. WDR Technology Suitable for situations like low light or backlight, WDR is able to restore the true colors of objects to the greatest extent. Motion Detection Automatically start recording when detecting objects movement. Less power and less storage space needed to capture vital footage. Gravity Sensor Detect sudden movement of the car(dash cam) and automatically lock files in case of an event triggering the sensor. Loop Recording 24 Hours Loop Recording creates video clips, automatically overwrites the oldest file to save the current file. 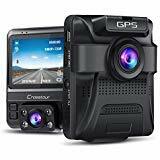 Specifications View of Angle: 170 Video Output: HDMI, USB LCD Screen: 3'' TFT Display Video Resolution: Up to 1080P Photo Resolution: Up to 12MP TF card: Only support class 10 (or above), no more than 32GB(not included) Package Contents 1x Crosstour CR300 Dash Cam 1x Micro USB Cable 1x Suction Mount 1x 3M Sticker Mount 1x Car Charger 1x User Manual Warm Tips 1.If you connect the cam to computer via USB cable, the screen will read Mass storage. 2.You are suggested to buy a class 10, 32GB max SDHC card. And please format it both in computer and the cam before use. 3.The battery of the cam is only for emergence file back up. For example, when your car is power off suddenly, the camera will protect the current video from missing with the built-in battery. External power is required for operation. 170 WIDE-ANGLE 6G LENS CAR CAMERA - 170 wide angle lens allows a larger viewing angle to be recorded. For example, you will be able to see 4 lanes of traffic. The more you see, the safer you are. 6 glass fixed-focus provides better light transmission, thus recording crystal clear video. Features: -150 degree a + hd ultra wide angle -super hd 4k resolution -advanced h.264 video compression technology -2.4 inch high resolution lcd -support hdmi high-quality video transmission -g-sensor -loop recording with seamless, does not leak seconds -motion detection function -24 hours parking monitoring function -build-in Wi-Fi / gps -automatic on / off function -can be charged and transmitted via usb -the maximum support memory storage ft. card up to 128gb specifications: -Chipset: Novatek nt96660(built in 2gb ddriii) -sensor: Ov4689 pro 1/3inch cmos -lens: 150 degree a + hd ultra wide angle -display: 2.4" lcd -aperture: F1.8 -video resolution: 2880 x 2160 p24 / 1920 x 1080 p60 / 1920 x 1080 p30 / 1280 x 720 p120 / 1280 x 720 p60 / 1280 x 720 p30 -loop recording: Support seamless recording -auto turn on / off while: Support turn on while vehicle starts -vehicle power on / off: Turn off while vehicle shutdowns -motion detection: Yes -parking mode: Yes -g-sensor: Yes -gps: Build-in -gps player: Please download and install from this web link " https://Megan/# dwi3kylr cd8kcp5jislilo_zjgmxdppd_38ga-yxzotuximokg0". 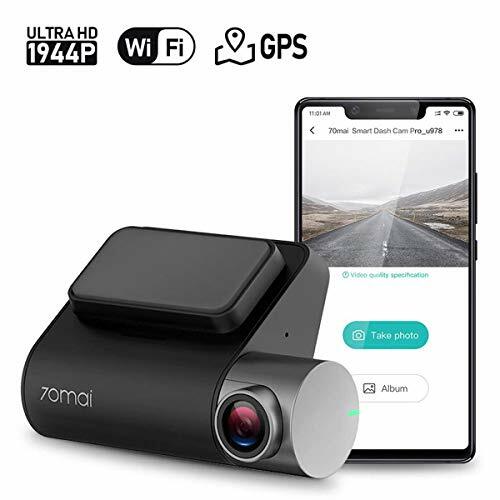 -App: Lerccenker / final am (app, iOS, android) -memory card: Tf(class 10 or above, max support 128gb, not included) -power interface: 5v 1.5a -battery: Built in li-ion battery package includes: -1 x dash camera -1 x car charger -1 x suction cup -1 x usb cable -1 x user manual tips: -Battery is mainly used to save files in emergency. Please always connect dash cam to external power while it is in use. -Be sure to format your ft. card with your dash cam for optimal use. Failing to format ft. card may result in card error. 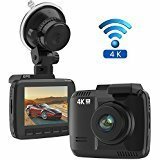 -Due to the higher video resolution, the dash cam may be hot during using. (No more than 140 f). It is normal phenomenon and does not affect normal function. BUILD-IN WIFI / GPS: You can download the "Lerccenker" APP from your smartphone to remotely control the dash cam with WIFI. And you can accurately check vehicle location/speed/route on Google Maps with GPS player. G-SENSOR: Built-axis acceleration sensor. When the G-sensor is on and the car is on a collision, the camera will save and lock the video files automatically. And the files can't be covered by loop recording. LOOP RECORDING: With loop recording enabled, users will have the option to record videos in loops of 3 / 5 / 10 minutes video files. When the storage space of TF card is exhausted, the oldest file will be automatically covered. MOTION DETECTION: With motion detection is enabled, if there is moving object in front of the camera, camera will start recording. If there is no moving object in front of the camera, it will stop recording. This function can save the space of TF card. PARKING MONITORING: Parking Mode on, when car engine off, camera will off automatically. If any collision to the car, the cam will restart recording and save the files as non-loop files. It normally record 30 seconds then off automatically. 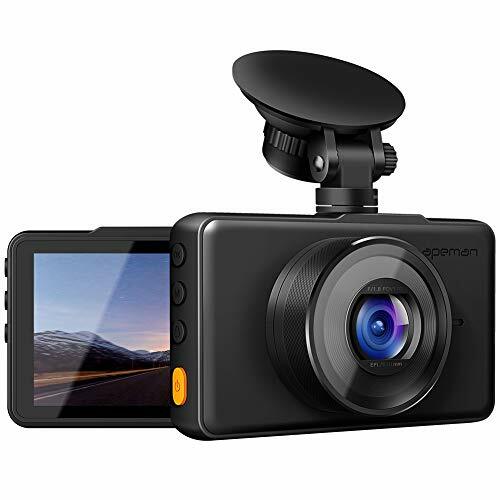 Dual 1080P Front and Rear Dash Cam Combined with advanced sensor and 6 glass lens, both the front and rear lens record videos with crystal clear 1080P quality. Your car will be under all round protection against scratches/ collision. However, other dashcams at same price can only support 720P of rear camera. NOVATEK Chip Car Camera The most important element of a dashcam is the chip which is actually the CPU and determines the basic performance of a car recorder such as resolution, frame etc. The night vision effect is also determined by this factor. Super Hawkeye Night Vision Both the front and rear cameras adopt F1.8 aperture and high dynamic range(HDR). The former lets more light come in, the latter adjusts the imaging. You can get clearer footage and image than other dashcams at night. Car license plate number can be easily seen even in low light. External GPS Interface Featuring a reserved GPS interface, this driving recorder can record your driving track , speed and longitude and latitude data after being connected with a GPS Antenna (Not included). Dual 170 Wide Angle Car Cam Both the front and rear lens are 170 wide angle. So this dash cam provides a much wider vision. 6 lanes can be covered and blind spot can be reduced to great extent. This will be the only car cam adopting both 170 wide angle at this price level. Battery Weight: 2.6g Battery Cell Type: Li-Bat Chemical composition of the battery cell: Lithium Ion Number of Batteries included: 1 Lithium Battery Energy Content: 1.48Wh Lithium Battery Voltage: 3.7V Dual Lens Recording The Crosstour CR750 dash cam integrates dual lens into one body. Front: FHD 1080P 150 A+ HD bugeye lens. Inside: 720P 130 wide-angle lens. Scenery outside and happy times inside your car can be recorded together. Perfect option for Uber drivers. Built-in GPS module This dashcam has built-in GPS module which allows it to record driving track , speed, longitude and latitude data which you can view in designated player. 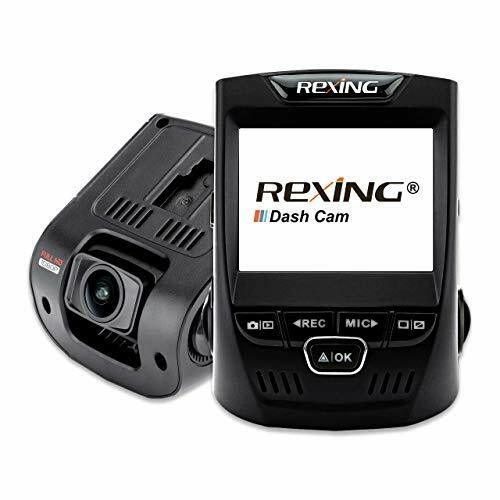 Parking Monitoring With parking monitoring on, the dash cam can provide all round protection for your car. After being connected to car battery with hard wire kit, the cam will turn on and automatically start recording about 30 seconds video once detecting external force and then turn off to save power. Recorded video won't be overwritten. This provides insurance evidence for financial loss and vehicle scratches. Super Night Vision Night vision is a key indicator of a dash camera's performance. Crosstour CR750 features 6 all-glass high-resolution lens, industry leading F1.8 aperture, WDR technology and high sensitivity image sensor to guarantee excellent night vision. Real 170 Degree Wide Angle We do not falsify parameters. Front 170 degree wide angle covers 4 lanes of traffic ahead and reduces blind spots. 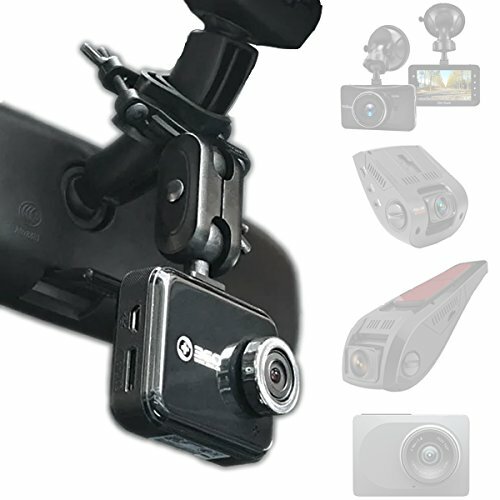 G-sensor-Emergency locking Videos recorded during collision or sudden movement of the car will be locked and won't be overwritten, thus providing evidence for insurance claims and traffic disputes. Dual Lens Dash Cam Front lens: 1080P FHD. Inside lens: 720P. This car cam can record traffic conditions in front of your car and what is happening inside your car. Perfect for Uber drivers or people who wanna record both scenery and happy times with your families. You are able to choose 4 different real time display modes. 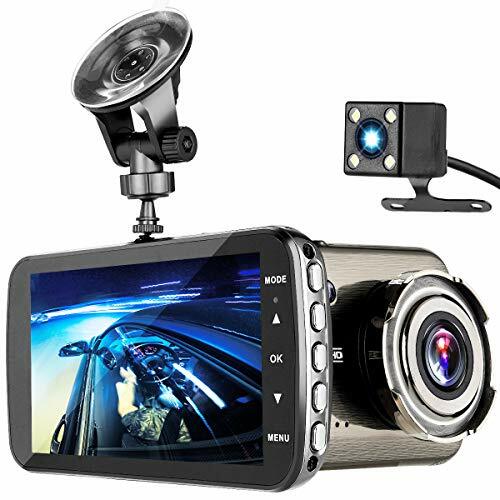 Built-in GPS Car Camera The dash cam features built-in GPS module which helps record your driving track , speed and longitude and latitude data. All of these datas can be seen in designated player. There is no need buy one extra expensive GPS module. We will send you the installation package of the player via Amazon if you buy it. Parking Monitoring DVR After being connected to car battery with hard wire kit, the cam will turn on and automatically start recording about 30 seconds video once detecting external force and then turn off to prevent running out of power of car battery. Recorded video won't be overwritten. This provides insurance evidence for financial loss and vehicle scratches. 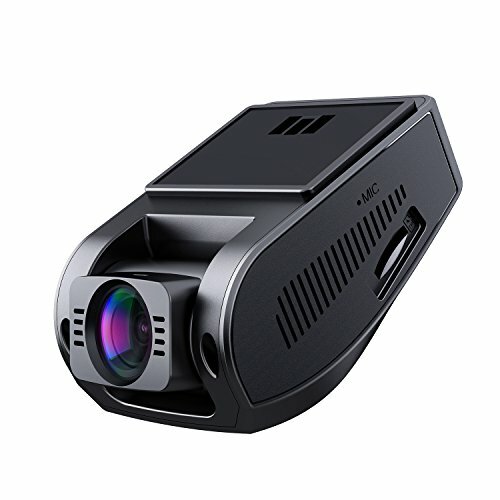 Super Night Vision Dashcam The dashboard camera adopts Sony IMX323 Sensor, F1.8( front lens) super big aperture 4 infrared LED lights and WDR(wide dynamic range), which will undoubtedly improve its imaging performance no matter in daytime or at night. 4 Important Functions Loop recording prevents card from being full. Gravity sensor locks the videos recorded during collision or sudden movement of the car. Motion detection records object movement in front of the lens when it detects them. Time lapse recording takes on an effect that when played at normal speed, time appears to be moving faster and thus lapsing. IPS Display- The IPS screen design is ultra wider, clear, clearer and seamless with your car than most of traditional LCD screen dash cams. 4 Inch IPS screen provides a wide visual angle which makes it clearer to view video laterally. Loop Recording- 24 Hours Loop Recording creates video clips, automatically overwrites the oldest file to save the current file. You can be set up the loop recording time in 1, 3, 5 mins in the record menu. 24 Hours Parking Monitor- Peztio dash camera will detect sudden vibration while the car is parked. Triggered by the motion detection, the dashcam will auto record once it detects motion in front of your car. Gravity sensor- G-sensor will auto-lock the recorded when the vehicle collision detected in the event of an accident. The locked files will be saved as a special file, this file is not overwritten. Motion Detection- Automatically pauses video recording when no motion is detected by the camera lens, resuming when movement is again detected. WDR Technology and Night Vision- Compensates for light/dark spots and balances exposure for superior night video recording at the touch of a button. WDR technology makes the camera's range can be extended to cover a great span between the bright and dark area in the image makes the low brightness video sharp. So Don't Wait - Order Now For Yourself or Anyone You Love! 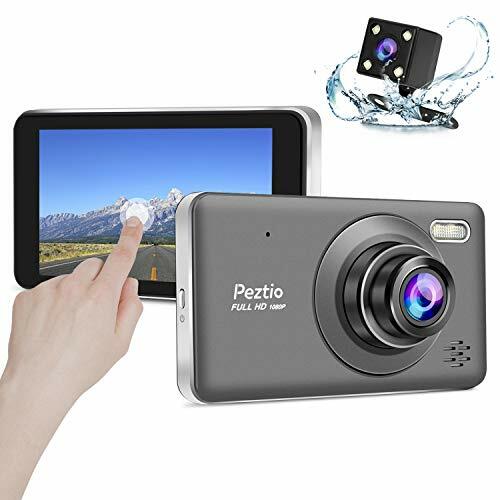 Full HD 1080P & 4 Inch IPS Touch Screen Peztio dash cam provides a convenient interaction mode for you. You can tap the intelligent touch screen gently to check the high definition recording files. And the 4-inch IPS touch screen that displaying the 1080P videos brings you a HD visual enjoyment and convenient for the driver to operate it. 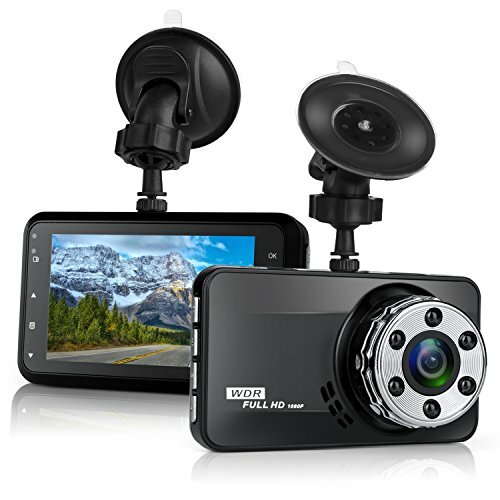 Front and Rear Dual Camera The car camera equipped with dual lens camera provides double protection for your safety. A 170 wide angle front camera monitors all the road without visual blind zone, meanwhile, a 130 waterproof rear camera monitors the rear road conditions of the vehicle for you. Super Night Vision and WDR Tech With F1.8 aperture, WDR technology, big LED light and rear camera with 4pcs LED light which helps the night vision. With F1.8 aperture, WDR ensures the clarity of images at night. It can easily capture the clear and color-accurate images even in a low light environments without auxiliary light source. Powerful Functions Smart gravity sensor lock, 24 hours parking monitor (when shocking is detected, the camera will automatically power on and start recording, save files and power off when engine stops), loop recording, motion detection. Its multifunctional features brings you wonderful and safe driving experience. Safe Guarantee with PEZTIO Package including front dashcam, rearview camera, Rear connect cable, car charge, suction cup mount, user manual. We guarantee 12-month warranty and professional after-sale service within 24 hours. Micro SD card Class 10 below 32GB is suitable for the dash camera (not included). 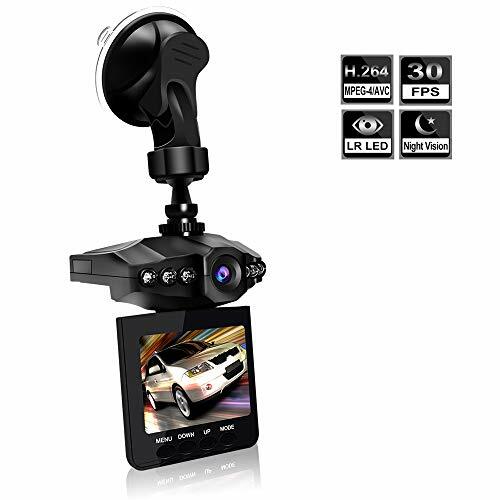 Never Miss A Moment The AODINI Smart Dash Camera features a high-end video processor with 1080p 30fps H.264 video recording,Make your driving easier and safer!!! 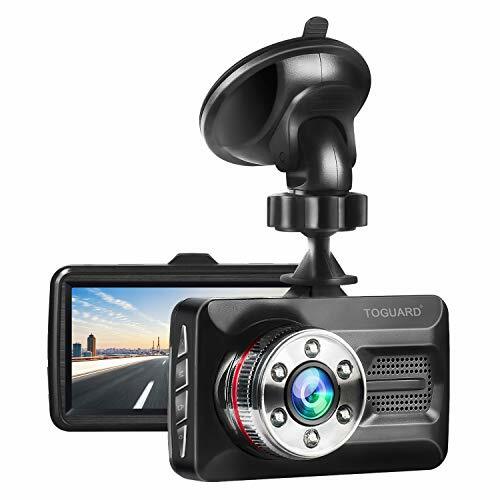 - Built-in g-sensor, one key to lock the video in case of emergent situation, highly-sensitive G-sensor automatic video recording and video file locking when a collision or crash is detected. - Support 2m motion detection distance, In the standby status, when it detects movement in the lens, it will start to record until the image is still for 15 secs. It helps to save memory space. Suggest turn this feature off in daily use, otherwise it can not record continuous. 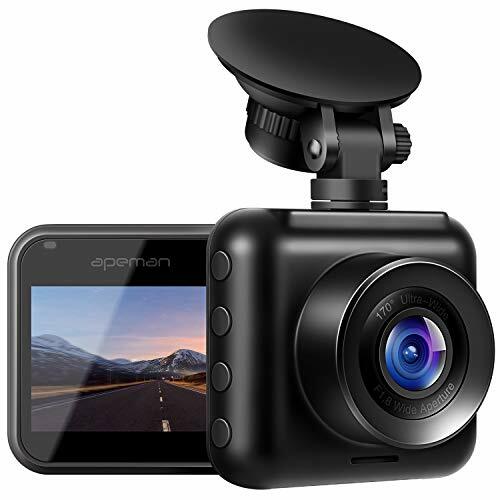  Front and Rear Dual Lens + 170 Wide-Angle Lens AODINI dash camera has 170 front camera and 130 rear camera,monitoring the roads ahead and behind the car simultaneously.lens sensor provide high-quality videos beyond your expectation.  4 HD IPS Screen + FHD1080P High Resolution Recording 1920*1080/30fps of front dashboard camera and 720*480 of rear camera guarantee full HD video quality.The IPS screen provides a wide range of viewing angles.You can also preview the road clearly whether view the screen from the front or from the side.  Auto Recording + 24 Hours Parking Monitor When the car engine starts,the camera will automatically power on and start recording,save files and power off when the engine stops.The car camera can also standby after parking.When shocking is detected,the camera will turn on and take a 30 seconds video automatically.  Gravity Sensor + Loop Recording Advanced G-Sensor:Automatically set off and lock the current video to distinguish responsibility when the car takes collision. It would be a independent witness to avoid unnecessary disputes.Loop Recording:Automatically overwrite the previous recordings with new files except locked files when the memory card is full.  Easy to Install Both cameras can display and record continuously. Connect the red wire from the rear camera to the reversing light lamp, when the car was in reverse, the image of rear camera will automatically switch over the full screen on front camera, and the screen has the reversing lines on the big screen, it is convenient to reverse a car.We guarantee 45 days money back and 12-month warranty and professional after-sale service within 24 hours. You must ensure that The TF card has good quality.If using low quality TF card, car camera may not work properly. Loop Recording: This function aims to free your worry about getting your SD card full. You can set 1 min/3 min/5 min as the length of each video. When loop recording is activated, newest videos will automatically overwrite oldest videos. Advanced Technical Functions- The dashboard camera will lock the current video so that it will not be overwritten once the cam detects shock, hit or movement around the car. This function aims to save emergent files for you to handle tricky or controversial issues. Easy to Install: Suction cup mount installed on the windshield and connected to the cigarette lighter, the car camera will record automatically. 3.0 LCD screen for instant playback and menu selection. Dash Cam GPS Module 70mai Pro Dash Cam is equipped with the ADAS assisted driving system, it is sensitive to the vehicle's motion status, providing you with road safety reminders and warnings; built-in electronic dog: accurately lock the speed measuring device, early warning to avoid overspeed. 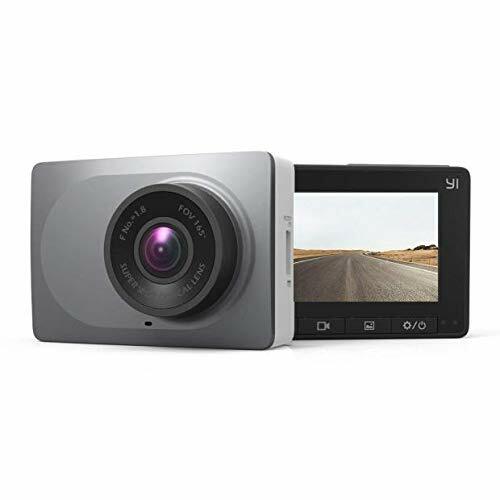 1944P FHD Dash Cam This Dash Camera feature 6-glass lens, Sony IMX335 sensor F1.8 wide aperture 2592x1944P HD with WDR 140 wide angle that adjusts exposure , captures more detail both in darkness or strong light,provides you with an outstanding picture quality with a wider field of vision effectively reducing blind spots, true record of every driving process.Can insure clarity of image, even in the evenings. Built-in G-Sensor Dash cam front With built-in G-sensor, Once detects a collision, 70mai will automatically lock the video to Emergency File to prevent it from being overwritten, which can be used to restore accident scene.you may find it in the dash cam card or in the APP. Warranty clause:Kindly refer the user manual before use; full 1-year and Lifetime support provided. Please email our customer service vascrestlara1980@163 to get help for any problems.  SIMPLE & SAFETY DESIGN Super IPS screen which is MORE BETTER SCREEN TEXTURE than the general product, no nail scratches even after a long time of use, 3" screen with a prominent camera simple design apply for all styles cars, and it wont distract any attention to ensure the safety. 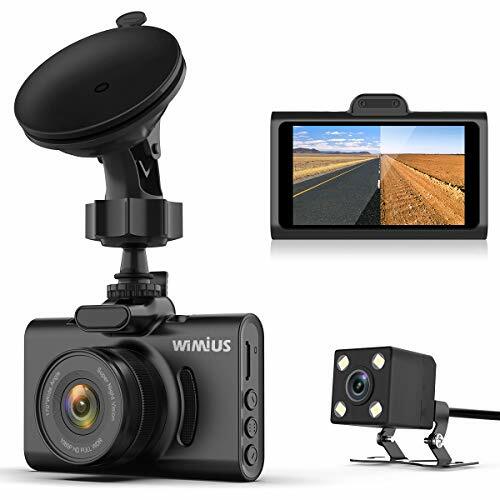  DUAL DASH CAMERA 1080P + 720P WiMiUS Dash Cam Camera with Dual Sony IMX323 image sensors HIGH DEFINITION 1080P + 720P Video Resolution and 170 WIDE-ANGLE LENS provides MORE DYNAMIC IMAGE DETAILS and CLEARER PICTURE QUALITY than others, it will not only RECORD Videos 6X better than other vehicle camcorders but also capture the entire road ahead and behind WITHOUT BLIND SPOTS.  SONY SENSOR INFRARED NIGHT VESION DUAL SONY IMX323 IMAGE SENSORS with 6 lens layers F1.8 aperture both front and rear cameras delivers CLEAR SHARP VIDEO EVEN AT NIGHT. The internal facing camera benefits from 4 IR LEDS to improve Night driving safety greatly, even with no ambient cabin light.  MORE COMPREHENSIVE FUNCTIONS 8 powerful vehicle camera functions: superior night vision, 170 wide angle, Extreme temperature (-20 C - 70 C), parking monitoring, loop recording, G-sensor, WDR and thermal design, the wonderful function makes this car camera MORE HUMANIZED an170 wide angle, parking monitoring, loop recording, G-sensor, WDR and thermal design, the wonderful function makes this car camera more humanized, simple mini styling with a prominent camera design apply for all styles cars.  WHAT YOU WILL GET WIMIUS engaged in selling electronic imaging products for more than 10 years, we provide 12 months warranty as well as LIFETIME TECHNICAL SUPPORT for all products, 30 days free replacement or refund as desired. ASSISTANCE 24x7 AVAILABLE THROUGH MAIL support@wimius.com. Tips: TF card not included in package, a class 10, 32G Micro SD Card sold separately! IPS Display- The IPS screen design is ultra wider, clearer and seamless with your car than most of traditional LCD screen dash cams. 4 Inch IPS screen provides a wide visual angle which makes it clearer to view video laterally. 170 wide angle lens allows a larger viewing angle to be recorded. Reduce blind spots, easily cover all lanes. The more dash cam record, the safer you are. External power is required for this dash cam. It can be obtained from your cigarette lighter. Please format card both in computer and the cam before first using.When connect with cpmputer, screen shows 'mass storage', is only for transfer data with computer. Don't Wait Until the Accident Happened - Order Now For Yourself or Anyone You Love! 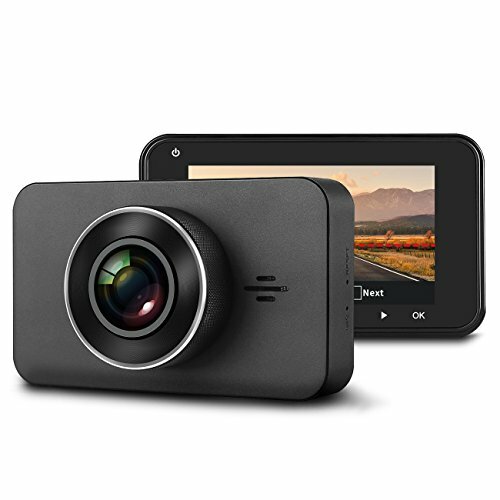 FHD1080P & 4" IPS Touch Screen TEMEISI dash cam have a 4" IPS Touch Screen that provides a convenient interaction mode for you and you can tap the intelligent touch screen gently to check the high definition recording files, convenient for the driver to operate it. The 1080P 4-inch screen display ultra high definition picture and bring you a HD visual enjoyment. Front and Rear Dual Camera The TEMEISI car camera provided with dual lens camera and provides comprehensive protection for your safety. 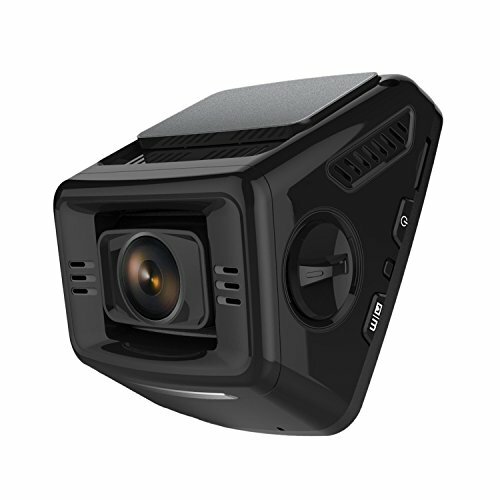 The 170 wide angle front camera monitors all the road without visual blind zone, the 130 waterproof rear camera monitors the rear road conditions of the vehicle for you. Superb Night Vision & WDR Tech The combination of f1.8 aperture and WDR technology enhances the clarity of images in different light environments. It makes night shots brighter and prevents overexposure under strong light. Get crystal-clear and color-accurate video at pitch dark night. Powerful Functions G-sensor: locks the footage when detects a sudden shake/collision; Loop recording: automatically overwrites the unprotected files when the card reaches the capacity; Motion detection: will automatically start and record when detects the movement of objects. Its multifunctional features brings you wonderful and safe driving experience. Great After-sales Service Every TEMEISI customers are fully covered by one-year warranty. We provide 7*24 customer service support and respond quickly within 24 hours. Dash cam recommended to use a Micro SD card (class 10) that no more than 32GB (not included). 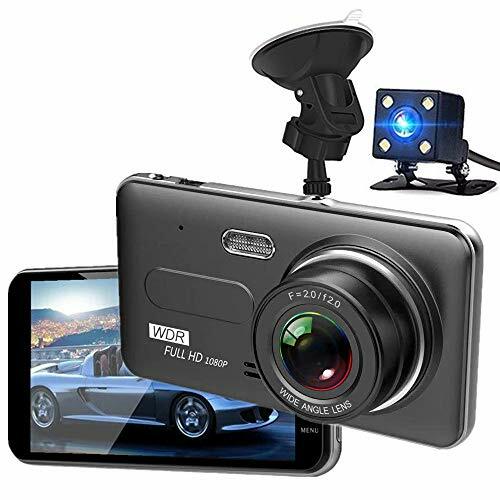 FHD 1080P Video Recording This in car camera captures 1920x1080 high-resolution videos at 30fps and super clear images, which provides brilliant image quality and captures licence plates clearly, provides clear video evidence for traffic accidents, ensure your safety during driving. Super IR Night Vision& WDR With 6 LED lights, the dashcam can record super clearly even at night. WDR technology provides great nighttime videos and clearly capture the license plates of the vehicles. 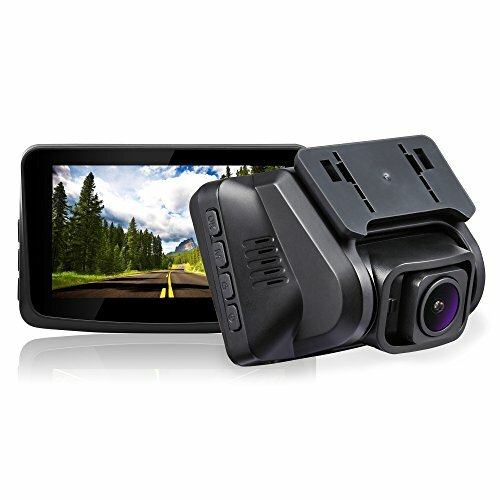 170 Wide Angle& 3 inch Screen 170 wide-angle lens captures every corner of the road without missing any details. 3-inch display screen lets you view your recorded videos clearly anytime and anywhere. Parking Monitor& G-sensor When the camera detects collision in standby mode, it will turn on automatically and record a short video, G-sensor will lock current video files when collision detected, which can be used as an important evidence of an accident. Powerful Functions& Reliable Service This driving recorder has more useful features such as Audio Recording, Screen Saver, Plate Number, which can make you feel more relaxed while driving. Also, we support 30 days money back and 12 months warranty, professional after-sale service, you questions will be replied within 24 hours. 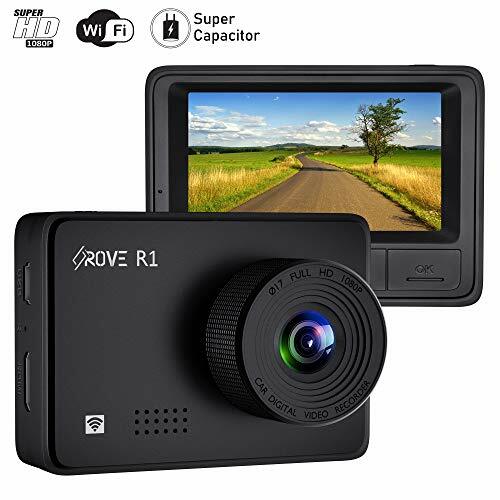 Specification: Sensor: Gravity-Sensor (G-Sensor) Video Resolution: 1296P Ultra High Definition Lens: 170 Wide-Angle Aperture: F1.8 aperture Built-in speaker: Yes Micro SD Card Compatibility: Support for 128G storage Battery in dash cam: 400mAh Power Supply Plug-in car cigar lighter Installation Method: 4M Adhesive Screen: 3.0 TFT HD liquid crystal display Dimensions 20.7 * 11.7 * 7.35cm Weight: 400g Package Includes: 1 x Dash Cam 1 x Cigar lighter & Android cable 1 x 4M Adhesive 1 x Manual Tips: 1. The battery of the dash camera is only for emergence file back up. External power is required for normal operation. 2. Use a Class 10 micro SD memory card (Max 128GB) such as SanDisk and Samsung for reliable recording and performance. Format the micro SD card in the dash camera before first use. 3. When transferring files from your dash cam to your computer, use a micro SD card reader or USB Mini-B data cable. 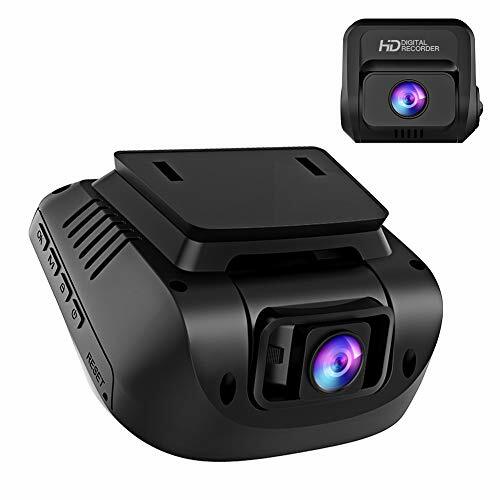 1296P Ultra High Definition: This car camera can catch clearer than the other 1080P HD dash cam, it shows more visible images and videos and reduce blind spots. Built-in Gravity-Sensor: Dartboard camera can freely detect a sudden shake or conflict and lock the data to prevent the video missing. Accident scene can be truly restored. Super Night Version: While you are driving at night time, you would get clearly images and videos from 170 Wide Angle. 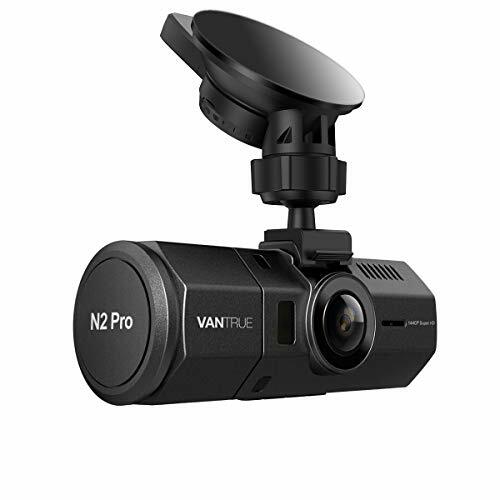 Applicable situations: It can carry in emergency recording, low-light environment, parking monitor, loop recording, motion detection and video rearview system. 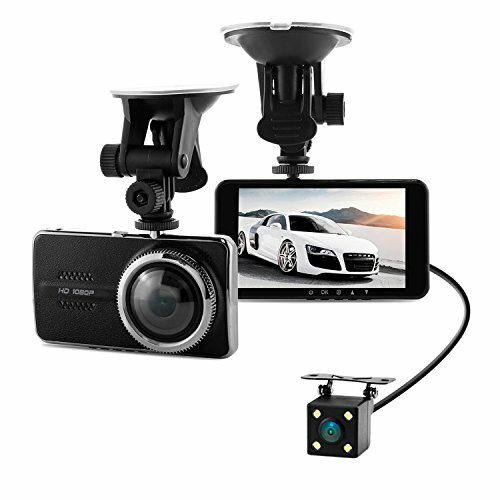 Package Includes: 1 x year warranty, 1 x Dash Cam, 1 x Cigar lighter & Android cable, 1 x 4M Adhesive, 1 x Manual. If you have any issue, just feel free to contact us.